I would like to introduce you all to Chantelle and Rollo. I met Chantelle's mom Donna in 1992 at our little 160 person public school here in New Tecumseth. Donna's son and my son soon became friends which put our two families together. Over the next 15 years we stayed connected over children and the training of their family dogs, first a stubborn border collie named Hempster, then on to Sadi a border collie mix. It was evident with Hempster that at a very young age, Chantelle, Donna's daughter was a natural dog handler. She trained Sadi to be a successful certified service dog. Chantelle was born with spinal bifida and unfortunately is suffering with serious consequences from this disease and she has lost Sadi from old age. Most of our Maplelane gang will remember our beautiful red Rollo who was to be a future stud dog for our kennel, with his brother Floki. We made the decision to give Rollo to Chantelle for her next service dog and it is quite evident that this was a match made in heaven. 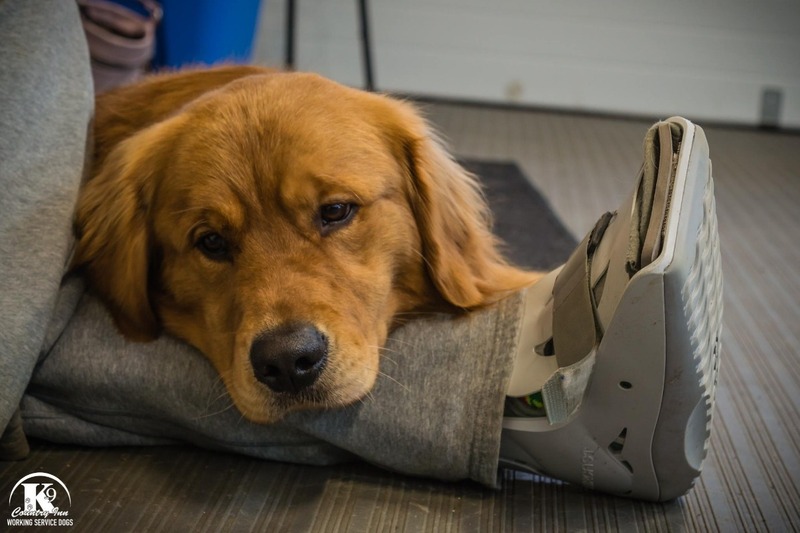 Rollo is now her confidant and best friend and he will attend all of her dialysis and hospital visits as well as mobility assistance with the loss her foot in the near future. 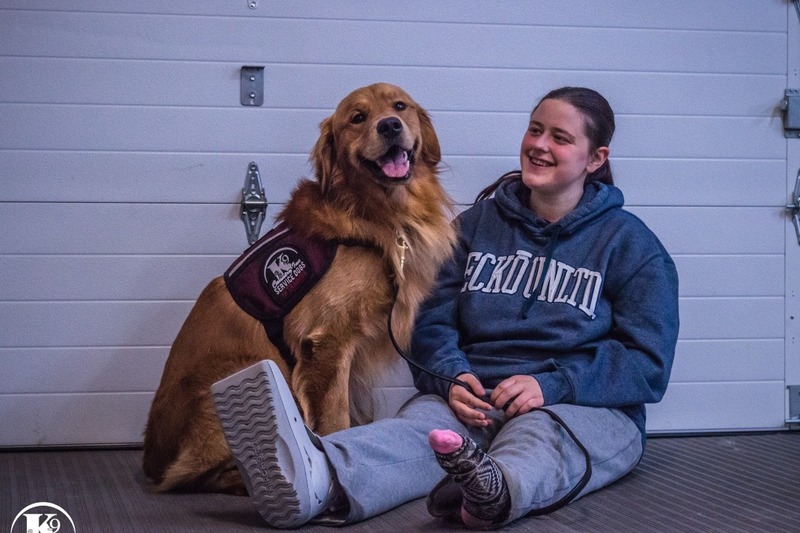 Maplelane Goldens has teamed up with K-9 Country Inn Working Service Dogs to train Rollo to be the service dog that Chantelle needs while she faces the many procedures coming up. Training a service dog is complex, time consuming as well as needing custom made equipment for the team. Your gift of kindness today will open the door to many possibilities for Chantelle and Rollo. We thank you from the bottom of our hearts for your generosity. P.S. You will be able to follow the success of this team on our FB pages and feel the emotion that you were part of something so special.